The number of Americans of Scottish descent today is estimated to be 20 to 25 million (up to 8.3% of the total US population), and Scotch-Irish 27 to 30 million (up to 10% of the total US population), the subgroups overlapping and not always distinguishable because of their shared ancestral surnames. The majority of Scotch-Irish Americans originally came from Lowland Scotland and Northern England before migrating to the province of Ulster in Ireland (see Plantation of Ulster) and thence, beginning about five generations later, to North America in large numbers during the eighteenth century. The table shows the ethnic Scottish population in the United States from 1700 to 2013. In 1700 the total population of the American colonies was 250,888, of whom 223,071 (89%) were white and 3.0% were ethnically Scottish. In the 2000 census, 4.8 million Americans self-reported Scottish ancestry, 1.7% of the total US population. Another 4.3 million self-reported Scotch-Irish ancestry, for a total of 9.2 million Americans self-reporting some kind of Scottish descent. Self-reported numbers are regarded by demographers as massive under-counts, because Scottish ancestry is known to be disproportionately under-reported among the majority of mixed ancestry, and because areas where people reported "American" ancestry were the places where, historically, Scottish and Scotch-Irish Protestants settled in America (that is: along the North American coast, Appalachia, and the Southeastern United States). Scottish Americans descended from nineteenth-century Scottish emigrants tend to be concentrated in the West, while many in New England are the descendants of emigrants, often Gaelic-speaking, from the Maritime Provinces of Canada, from the 1880s onward. Americans of Scottish descent outnumber the population of Scotland, where 4,459,071 or 88.09% of people identified as ethnic Scottish in the 2001 Census. The first Scots in North America came with the Vikings. A Christian bard from the Hebrides accompanied Bjarni Herjolfsson on his voyage around Greenland in 985/6 which sighted the mainland to the west. The first Scots recorded as having set foot in the New World were a man named Haki and a woman named Hekja, slaves owned by Leif Eiriksson. The Scottish couple were runners who scouted for Thorfinn Karlsefni's expedition in c. 1010, gathering wheat and the grapes for which Vinland was named. The controversial Zeno letters have been cited in support of a claim that Henry Sinclair, earl of Orkney, visited Nova Scotia in 1398. In the early years of Spanish colonization of the Americas, a Scot named Tam Blake spent 20 years in Colombia and Mexico. He took part in the conquest of New Granada in 1532 with Alonso de Heredia. He arrived in Mexico in 1534-5, and joined Coronado's 1540 expedition to the American Southwest. Scottish-American naturalist John Muir is perhaps best known for his exploration of California's Sierra Nevada mountains during the 19th century. 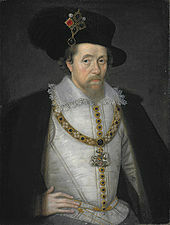 After the Union of the Crowns of Scotland and England in 1603, King James VI, a Scot, promoted joint expeditions overseas, and became the founder of English America. The first permanent English settlement in the Americas, Jamestown, was thus named for a Scot. The earliest Scottish communities in America were formed by traders and planters rather than farmer settlers. The hub of Scottish commercial activity in the colonial period was Virginia. Regular contacts began with the transportation of indentured servants to the colony from Scotland, including prisoners taken in the Wars of the Three Kingdoms. By the 1670s Glasgow was the main outlet for Virginian tobacco, in open defiance of English restrictions on colonial trade; in return the colony received Scottish manufactured goods, emigrants and ideas. In the 1670s and 1680s Presbyterian Dissenters fled persecution by the Royalist privy council in Edinburgh to settle in South Carolina and New Jersey, where they maintained their distinctive religious culture. Trade between Scotland and the American colonies was finally regularized by the parliamentary Act of Union of Scotland and England in 1707. Population growth and the commercialization of agriculture in Scotland encouraged mass emigration to America after the French and Indian War, a conflict which had also seen the first use of Scottish Highland regiments as Indian fighters. More than 50,000 Scots, principally from the west coast, settled in the Thirteen Colonies between 1763 and 1776, the majority of these in their own communities in the South, especially North Carolina, although Scottish individuals and families also began to appear as professionals and artisans in every American town. Scots arriving in Florida and the Gulf Coast traded extensively with Native Americans. American bluegrass and folk music styles have some of their roots in the Appalachian ballad culture of Scotch-Irish Americans (predominantly originating from the "Border Ballad" tradition of southern Scotland and northern England). Fiddle tunes from the Scottish repertoire, as they developed in the eighteenth century, and spread rapidly into British colonies, although sometimes through the medium of print rather than aurally, explaining the presence of Highland-origin tunes in regions like Appalachia where there was essentially no Highland settlement. Outside of Gaelic-speaking communities, however, characteristic Highland musical idioms, such as the “Scotch-snap,” were flattened out and assimilated into anglophone musical styles. The first foreign tongue spoken by some slaves in America was Scottish Gaelic picked up from Gaelic-speaking immigrants from the Scottish Highlands and Western Isles. There are accounts of African Americans singing Gaelic songs and playing Scottish Gaelic music on bagpipes and fiddle. The civic tradition of the Scottish Enlightenment contributed to the intellectual ferment of the American Revolution. In 1740, the Glasgow philosopher Francis Hutcheson argued for a right of colonial resistance to tyranny. Scotland's leading thinkers of the revolutionary age, David Hume and Adam Smith, opposed the use of force against the rebellious colonies. According to the historian Arthur Herman: "Americans built their world around the principles of Adam Smith and Thomas Reid, of individual interest governed by common sense and a limited need for government." Nineteen of the fifty-six delegates who signed the Declaration of Independence came from Scotland or Ulster or, like the Scottish-tutored Thomas Jefferson, had ancestors there. Other founding fathers like James Madison had no ancestral connection but were imbued with ideas drawn from Scottish moral philosophy. Scottish Americans who made major contributions to the revolutionary war included Commodore John Paul Jones, the "Father of the American Navy", and Generals Henry Knox and William Alexander. Another person of note was a personal friend of George Washington, General Hugh Mercer, who fought for Charles Edward Stuart at the Battle of Culloden. The Scotch-Irish, who had already begun to settle beyond the Proclamation Line in the Ohio and Tennessee Valleys, were drawn into rebellion as war spread to the frontier. Tobacco plantations and independent farms in the backcountry of Virginia, Maryland and the Carolinas had been financed with Scottish credit, and indebtedness was an additional incentive for separation. Most Scottish Americans had commercial ties with the old country or clan allegiances and stayed true to the Crown. The Scottish Highland communities of upstate New York and the Cape Fear valley of North Carolina were centers of Loyalist resistance. A small force of Loyalist Highlanders fell at the Battle of Moore's Creek Bridge in 1776. Scotch-Irish Patriots defeated Scottish American Loyalists in the Battle of Kings Mountain in 1780. Many Scottish American Loyalists emigrated to Canada after the war. "Uncle Sam" Wilson was based on Samuel Wilson. Uncle Sam is the national personification of the United States, and sometimes more specifically of the American government, with the first usage of the term dating from the War of 1812. The American icon Uncle Sam, who embodies the American spirit more than any other figure, was in fact based on a real man. A businessman from Troy, New York, Samuel Wilson, whose parents sailed to America from Greenock, Scotland, has been officially recognized as the original Uncle Sam. He provided the army with beef and pork in barrels during the War of 1812. The barrels were prominently labeled "U.S." for the United States, but it was jokingly said that the letters stood for "Uncle Sam." Soon, Uncle Sam was used as shorthand for the federal government. Trade with Scotland continued to flourish after independence. The tobacco trade was overtaken in the nineteenth century by the cotton trade, with Glasgow factories exporting the finished textiles back to the United States on an industrial scale. Emigration from Scotland peaked in the nineteenth century, when more than a million Scots left for the United States, taking advantage of the regular Atlantic steam-age shipping industry which was itself largely a Scottish creation, contributing to a revolution in transatlantic communication. Scottish emigration to the United States followed, to a lesser extent, during the twentieth century, when Scottish heavy industry declined. This new wave peaked in the first decade of the twentieth century, contributing to a hard life for many who remained behind. Many qualified workers emigrated overseas, a part of which, established in Canada, later went on to the United States. In the nineteenth century, American authors and educators adopted Scotland as a model for cultural independence. In the world of letters, Scottish literary icons James Macpherson, Robert Burns, Walter Scott, and Thomas Carlyle had a mass following in the United States, and Scottish Romanticism exerted a seminal influence on the development of American literature. The works of Ralph Waldo Emerson and Nathaniel Hawthorne bear its powerful impression. Among the most notable Scottish American writers of the nineteenth century were Washington Irving, James Fenimore Cooper, Edgar Allan Poe and Herman Melville. Poet James Mackintosh Kennedy was called to Scotland to deliver the official poem for the 600th anniversary of the Battle of Bannockburn in 1914. In the twentieth century, Margaret Mitchell's Gone With the Wind exemplified popular literature. William Faulkner won the Nobel Prize for Literature in 1949. There have been a number of notable Scottish Gaelic poets active in the United States since the eighteenth century, including Aonghas MacAoidh and Domhnall Aonghas Stiùbhart. One of the few relics of Gaelic literature composed in the United States is a lullaby composed by an anonymous woman in the Carolinas during the American Revolutionary War. It remains popular to this day in Scotland. More than 160,000 Scottish emigrants migrated to the U.S. American statesmen of Scottish descent in the early Republic included Secretary of the Treasury Alexander Hamilton, Secretary of War Henry Knox, and President James Monroe. Andrew Jackson and James K. Polk were what we now call Scotch-Irish presidents and products of the frontier in the period of Westward expansion. Among the most famous Scottish American soldier frontiersmen was Sam Houston, founding father of Texas. Other Scotch-Irish presidents included James Buchanan, Andrew Johnson, Chester Alan Arthur, William McKinley and Richard M. Nixon. Ulysses S. Grant, Theodore Roosevelt (through his mother), Woodrow Wilson, Lyndon B. Johnson, and Ronald Reagan were of Scottish descent. By one estimate, 75% of U.S. presidents could claim some Scottish ancestry. Scottish Americans fought on both sides of the Civil War, and a monument to their memory was erected in Edinburgh, Scotland, in 1893. Winfield Scott, Ulysses S. Grant, Joseph E. Johnston, Irvin McDowell, James B. McPherson, Jeb Stuart and John B. Gordon were of Scottish descent, George B. McClellan and Stonewall Jackson Scotch-Irish. Douglas MacArthur and George Marshall upheld the martial tradition in the twentieth century. Grace Murray Hopper, a rear admiral and computer scientist, was the oldest officer and highest-ranking woman in the U.S. armed forces on her retirement at the age of 80 in 1986. Isabella Cannon, the former Mayor of Raleigh, North Carolina, served as the first female mayor of a U.S. state capital. The Scottish-born Alexander Winton built one of the first American automobiles in 1896, and specialized in motor racing. He broke the world speed record in 1900. In 1903, he became the first man to drive across the United States. David Dunbar Buick, another Scottish emigrant, founded Buick in 1903. The Scottish-born William Blackie transformed the Caterpillar Tractor Company into a multinational corporation. Harley-Davidson Inc (formerly HDI), often abbreviated "H-D" or "Harley", is an American motorcycle manufacturer. The Davidson brothers were the sons of William C Davidson (1846-1923) who was born and grew up in Angus, Scotland, and Margaret Adams McFarlane (1843-1933) of Scottish descent from the small Scottish settlement of Cambridge, Wisconsin. They raised five children together: Janet May, William A., Walter, Arthur and Elizabeth. Scottish Americans have made a major contribution to the US aircraft industry. Alexander Graham Bell, in partnership with Samuel Pierpont Langley, built the first machine capable of flight, the Bell-Langley airplane, in 1903. Lockheed was started by two brothers, Allan and Malcolm Loughead, in 1926. Douglas was founded by Donald Wills Douglas, Sr. in 1921; he launched the world's first commercial passenger plane, the DC-3, in 1935. McDonnell Aircraft was founded by James Smith McDonnell, in 1939, and became famous for its military jets. In 1967, McDonnell and Douglas merged and jointly developed jet aircraft, missiles and spacecraft. Scottish Americans were pioneers in human spaceflight. The Mercury and Gemini capsules were built by McDonnell. The first American in space, Alan Shepard, the first American in orbit, John Glenn, and the first man to fly free in space, Bruce McCandless II, were Scottish Americans. The first men on the moon, Neil Armstrong and Buzz Aldrin, were also of Scottish descent; Armstrong wore a kilt in a parade through his ancestral home of Langholm in the Scottish Borders in 1972. Other Scottish American moonwalkers were the fourth, Alan Bean, the fifth, Alan Shepard, the seventh, David Scott (also the first to drive on the moon), and the eighth, James Irwin. Scottish Americans have also been leaders in computing and information technology. Scottish Americans Howard Aiken and Grace Murray Hopper created the first automatic sequence computer in 1939. Hopper was also the co-inventor of the computer language COBOL. Ross Perot, another Scottish American entrepreneur, made his fortune from Electronic Data Systems, an outsourcing company he established in 1962. Software giant Microsoft was co-founded in 1975 by Bill Gates, who owed his start in part to his mother, the Scottish American businesswoman Mary Maxwell Gates, who helped her son to get his first software contract with IBM. Glasgow-born Microsoft employee Richard Tait helped develop the Encarta encyclopedia and co-created the popular board game Cranium. Scottish Americans have helped to define the modern American diet by introducing many distinctive foods. Philip Danforth Armour founded Armour Meats in 1867, revolutionizing the American meatpacking industry and becoming famous for hot dogs. Campbell Soups was founded in 1869 by Joseph A. Campbell and rapidly grew into a major manufacturer of canned soups. W. K. Kellogg transformed American eating habits from 1906 by popularizing breakfast cereal. Glen Bell, founder of Taco Bell in 1962, introduced Tex-Mex food to a mainstream audience. Marketing executive Arch West, born to Scottish emigrant parents, developed Doritos. Some of the following aspects of Scottish culture can still be found in some parts of the US. Tartan - some places in the US have their own tartan, and Scottish dress is worn by some Americans to celebrate their ancestral heritage. National Tartan Day, held each year on April 6 in the United States and Canada, celebrates the historical links between Scotland and North America and the contributions Scottish Americans and Canadians have made to US and Canadian democracy, industry and society. The date of April 6 was chosen as "the anniversary of the Declaration of Arbroath in 1320—the inspirational document, according to U.S. Senate Resolution 155, 1999, upon which the American Declaration of Independence was modeled". The Annual Tartan Week celebrations come to life every April with the largest celebration taking place in New York City. Thousands descend onto the streets of the Big Apple to celebrate their heritage, culture and the impact of the Scottish Americans in America today. Hundreds of pipers, drummers, Highland dancers, Scottie Dogs and celebrities march down the streets drowned in their family tartans and Saltire flags whilst interacting with the thousands of onlookers. NYC is not the only large city to celebrate Tartan Day. Large events also take place in Ohio, Tennessee, Texas, Virginia, California, Chicago, Arizona, Pennsylvania, Minnesota, Wisconsin, Québec, Nova Scotia, Ontario, Australia, and New Zealand. Scottish Heritage Month is also promoted by community groups around the United States and Canada. Scottish culture, food, and athletics are celebrated at Highland Games and Scottish festivals throughout North America. The largest of these occurs yearly at Pleasanton, California, Grandfather Mountain, North Carolina and Estes Park, Colorado. There are also other notable Scottish Festivals in cities like Tulsa, Oklahoma, Atlanta, Georgia (at Stone Mountain Park), San Antonio, Texas and St. Louis, Missouri. In addition to traditional Scottish sports such as tossing the caber and the hammer throw, there are whisky tastings, traditional foods such as haggis, Bagpipes and Drums competitions, Celtic rock musical acts and traditional Scottish dance. Although Scottish Gaelic had been spoken in most of Scotland at one time or another, by the time of large-scale migrations to North America – the eighteenth century – it had only managed to survive in the Highlands and Western Isles of Scotland. Unlike other ethnic groups in Scotland, Scottish Highlanders preferred to migrate in communities, and remaining in larger, denser concentrations aided in the maintenance of their language and culture. The first communities of Scottish Gaels began migrating in the 1730s to Georgia, New York and the Carolinas. Only in the Carolinas were these settlements enduring. Although their numbers were small, the immigrants formed a beach-head for later migrations, which accelerated in the 1760s. The American Revolutionary War effectively stopped direct migration to the newly-formed United States, most people going instead to British North America (now Canada). The Canadian Maritimes were a favored destination from the 1770s to the 1840s. Sizable concentrations of Gaelic communities existed in Ontario, Nova Scotia, and Prince Edward Island, with smaller clusters in Newfoundland, Quebec, and New Brunswick. Those who left these communities for opportunities in the United States, especially in New England, were usually fluent Gaelic speakers into the mid-twentieth century. Of the many communities founded by Scottish Highland immigrants, the language and culture only survives at a community level in the Canadian province of Nova Scotia. According to the 2000 census, 1,199 people speak Scottish Gaelic at home. The direct descendants of Scottish Highlanders were not the only people in the United States to speak the language, however. Gaelic was one of the languages spoken by fur traders in many parts of North America. In some parts of the Carolinas and Alabama, African-American communities spoke Scots Gaelic, particularly (but not solely) due to the influence of Gaelic-speaking slave-owners. According to musicologist Willie Ruff, jazz musician Dizzy Gillespie spoke often of the Gaelic speaking African-Americans. For a more comprehensive list, see List of Scottish Americans. Several presidents of the United States have had some Scottish or Scotch-Irish ancestry, although the extent of this varies. For example, Donald Trump's mother was Scottish and Woodrow Wilson's maternal grandparents were both Scottish. To a lesser degree Ronald Reagan, Gerald Ford, Chester A. Arthur and William McKinley have less direct Scottish or Scotch-Irish ancestry. 5th President 1817-1825: His paternal great-great-grandfather, Andrew Monroe, emigrated to America from Ross-shire, Scotland in the mid-17th century. 7th President 1829-1837: : He was born in the predominantly Ulster-Scots Waxhaws area of South Carolina two years after his parents left Boneybefore, near Carrickfergus in County Antrim. 11th President, 1845-1849: His Scottish paternal great x 5 grandfather, Robert Pollock, emigrated to Ireland in the 17th century. The family's surname was later changed from Pollock to Polk. 15th President, 1857-1861: His paternal great-grandmother, Katherine Blair, was born in Stirlingshire. 17th President, 1865-1869: His grandfather left Mounthill, near Larne in County Antrim around 1750 and settled in North Carolina. 18th President, 1869-1877: His maternal great-grandfather, John Simpson, was born in Dergenagh, County Tyrone. 19th President, 1877-1881: His ancestor, George Hayes, emigrated from Scotland to Connecticut in 1680. 21st President, 1881-1885: His paternal great-grandmother, Jane Campbell, emigrated from Scotland to County Antrim, Ireland. 22nd and 24th President, 1885-1889 and 1893-1897: Born in New Jersey, he was the maternal grandson of merchant Abner Neal, who emigrated from County Antrim in the 1790s. He is the only president to have served non-consecutive terms. 23rd President, 1889-1893: Through his mother, Elizabeth Irwin, his great x 5 grandfather, David Irvine, was born in Aberdeenshire, and emigrated to Ireland. 25th President, 1897-1901: His Scottish paternal great-great-great-great-grandfather, James McKinley, settled in Ireland in 1690. 26th President, 1901-1909: His maternal great-great-great-grandmother, Jean Stobo, emigrated to America from Scotland with her parents in 1699. 28th President, 1913-1921: His Scottish maternal grandparents, Rev. Dr Thomas Woodrow and Marion Williamson, emigrated to America in the 1830s. Throughout his career he reflected on the influence of his ancestral values on his constant quest for knowledge and fulfillment. 29th President 1921-1923: His paternal great-great grandmother, Lydia Crawford, was born in Midlothian. 33rd President 1945-1953: His paternal great-great-great-great-grandfather, Thomas Monteith, was a merchant from Glasgow. 37th President, 1969-1974: The Nixon ancestors left Ulster in the mid-18th century; the Quaker Milhous family ties were with County Antrim and County Kildare. 38th President 1974-1977: His maternal great-grandfather, Alexander Gardner, emigrated to Quebec from Kilmacolm in 1820. 39th President 1977-1981: His paternal great x 6 grandfather, Adam Clinkskaill, was Scottish. 40th President 1981-1989: His great-grandfather, John Wilson, emigrated to North America from Paisley in 1832. 41st President 1989-1993: His maternal great-great-great-grandmother, Catherine Walker (née McLelland), was Scottish. 43rd President 2001-2009: His great-great-great-great-grandmother, Catherine Walker (née McLelland), was Scottish. 44th President 2009-2017: The ancestry of his mother's family is partially Scotch-Irish. 45th President: His mother, Mary Anne MacLeod, was born in the village of Tong, Isle of Lewis, and emigrated to the USA in 1930. 42nd Vice President 1977-1981: His maternal great-grandparents, Walter Cowan and Agnes Phorson, were Scottish. Dunedin, Florida (left) was founded in 1882 by two Scottish merchants, J.O. Douglas and James Somerville and is named after Dùn Èideann, Scottish Gaelic for "Edinburgh" (right). ^ a b James McCarthy and Euan Hague, 'Race, Nation, and Nature: The Cultural Politics of "Celtic" Identification in the American West', Annals of the Association of American Geographers, Volume 94 Issue 2 (5 Nov 2004), p. 392, citing J. Hewitson, Tam Blake and Co.: The Story of the Scots in America (Edinburgh: Canongate Books, 1993). ^ a b Tartan Day 2007, scotlandnow, Issue 7 (March 2007). Accessed 7 September 2008. ^ a b "Scottish Parliament: Official Report, 11 September 2002, Col. 13525". Scottish.parliament.uk. Archived from the original on 7 August 2011. Retrieved 2012-08-25. ^ a b "Scottish Parliament: European and External Relations Committee Agenda, 20th Meeting 2004 (Session 2), 30 November 2004, EU/S2/04/20/1" (PDF). Scottish.parliament.uk. 2011-08-14. Archived from the original (PDF) on 5 June 2011. Retrieved 2012-08-25. ^ a b James Webb, Secret GOP Weapon: The Scots Irish Vote, Wall Street Journal (23 October 2004). Accessed 7 September 2008. ^ "Scottish and Scotch-Irish Americans - History, the scotch-irish, Immigration, Settlement patterns, Acculturation and Assimilation". ^ Celeste Ray, 'Introduction', p. 6, id., 'Scottish Immigration and Ethnic Organization in the United States', pp. 48-9, 62, 81, in id. (ed. ), The Transatlantic Scots (Tuscaloosa, AL:University of Alabama Press, 2005). ^ a b "Rank of States for Selected Ancestry Groups with 100,00 or more persons: 1980" (PDF). United States Census Bureau. Retrieved 30 November 2012. ^ a b "1990 Census of Population Detailed Ancestry Groups for States" (PDF). United States Census Bureau. 18 September 1992. Retrieved 30 November 2012. ^ a b "Ancestry: 2000". United States Census Bureau. Retrieved 30 November 2012. ^ a b Boyer, Paul S.; Clark, Clifford E.; Halttunen, Karen; Kett, Joseph F.; Salisbury, Neal (1 January 2010). The Enduring Vision: A History of the American People. Cengage Learning. ISBN 9781111786090 – via Google Books. ^ "U.S. Federal Census : United States Federal Census : US Federal Census". 1930census.com. Retrieved 17 March 2015. ^ Colonial America To 1763 By Thomas L. Purvis]. ^ Mary C. Walters, Ethnic Options: Choosing Identities in America (Berkeley: University of California Press, 1990), pp. 31-6. ^ "QT-P13. Ancestry: 2000". Factfinder.census.gov. Retrieved 2012-08-25. ^ "Table 1.1: Scottish population by ethnic group - All People". Scotland.gov.uk. 2006-04-04. Retrieved 2012-08-25. ^ a b Szucs, Loretto Dennis; Luebking, Sandra Hargreaves (2006). The Source. ISBN 9781593312770. Retrieved 17 March 2015. ^ "U.S 1790 Census" (PDF). ^ Grænlendinga Saga (c. 1190), 2, tr. Magnus Magnusson and Hermann Pálsson, in The Vinland Sagas (Penguin: Harmondsworth, Middx, 1965), pp. 51-2, 107. ^ Michael Fry, How the Scots Made America (New York: Thomas Dunne, 2005), p. 7. ^ Eirik's Saga (c. 1260), 8, tr. Magnusson and Palsson, in Vinland Sagas, pp. 95, 109. ^ Fry, How the Scots Made America, pp. 8-9. ^ Fry, How the Scots Made America, p. 10. ^ Jim Hewitson, Tam Blake & Co.: The Story of the Scots in America (Edinburgh: Orion, 1993), pp. 12-13. ^ Fry, How the Scots Made America, p. 11. ^ Fry, How the Scots Made America, p. 12. ^ a b Fry, How the Scots Made America, p. 19. ^ a b c d e f g h i j k l Alex Murdoch, "USA", Michael Lynch (ed), The Oxford Companion to Scottish History (Oxford University Press, 2001), pp. 629-633. ^ Fry, How the Scots Made America, pp. 18, 19. ^ a b Fry, How the Scots Made America, p. 20. ^ Fry, How the Scots Made America, p. 41. ^ Lamb, William. "Grafting Culture: On the Development and Diffusion of the Strathspey in Scottish Music". Scottish Studies. ^ Miller, Terry (2009). "A Myth in the Making: Willie Ruff, Black Gospel and an Imagined Gaelic Scottish Origin". Ethnomusicology Forum. 18 (2): 243–259. doi:10.1080/17411910903141908. ^ Newton, Michael (2013). "'Did you hear about the Gaelic-speaking African? ': Scottish Gaelic Folklore about Identity in North America". Comparative American Studies. 8 (2): 88–106. doi:10.1179/147757010X12677983681316. ^ Fry, How the Scots Made America, pp. 28-29. ^ Fry, How the Scots Made America, pp. 29-32. ^ Fry, How the Scots Made America, p. 154. ^ Fry, How the Scots Made America, p. 32-38. ^ Fry, How the Scots Made America, pp. 38-40. ^ Fry, How the Scots Made America, pp. 13, 23. ^ Fry, How the Scots Made America, pp. 13, 24-26. ^ Fry, How the Scots Made America, p. 28. ^ Fry, How the Scots Made America, pp. 19, 41. ^ Fry, How the Scots Made America, p. 193. ^ Fry, How the Scots Made America, p. 194. ^ Evans, Nicholas J., 'The Emigration of Skilled Male Workers from Clydeside during the Interwar Period', International Journal of Maritime History, Volume XVIII, Number 1 (2006), pp. 255-280. ^ Everyculture:Scottish American[permanent dead link]. Posted by Mary A. Hess. Retrieved January 3, 2012, to 1:25 pm. ^ "Celtic Poets of North America - Breton, Cornish, Irish, Manx, Scottish Gaelic & Welsh Literatures of Canada and the United States". celticpoetsna.web.unc.edu. Retrieved 20 August 2017. ^ Newton, Michael (2016). "Highland Canon Fodder: Scottish Gaelic Literature in North American Contexts". E-Keltoi. ^ "North American Gaelic Heroes". 2014-05-30. ^ "Bardic Visions in North Dakota". 2016-02-06. ^ Newton, Michael (2014). "Unsettling Iain mac Mhurchaidh's slumber: The Carolina Lullaby, authorship, and the influence of print media on Gaelic oral tradition". Aiste. ^ Newton, Michael (2001). "In Their Own Words: Gaelic Literature in North Carolina". Scotia. ^ Fry, How the Scots Made America, p. 53. ^ Fry, How the Scots Made America, pp. 60-61. ^ Fry, How the Scots Made America, pp. 53, 72. ^ a b c d e f Fry, How the Scots Made America, pp. 219-220. ^ Tam, Karen (2011-07-19). "Park Renamed to Honor Former Mayor". Raleigh Public Record. Retrieved 2011-08-29. ^ a b c d Fry, How the Scots Made America, p. 221. ^ "HOG:New York Stock Quote - Harley-Davidson Inc". Bloomberg. Retrieved 2012-04-07. ^ The Business Journal of Milwaukee (August 2006). "Harley-Davidson to get new ticker". The Business Journal of Milwaukee. Retrieved March 1, 2008. ^ Harley, Jean Davidson, Arthur Harley Davidson, Sarah. Jean Davidson's Harley-Davidson family album. Voyageur Press. ISBN 9781610604208 – via Google Books. ^ a b c d e f g h i Fry, How the Scots Made America, pp. 221-223. ^ The California Taco Trail, NPR (April 26, 2012). ^ "Honoring Glen W. Bell and his Clan". Thomasjstanley.com. Retrieved 2012-08-25. ^ Rees Shapiro, T. (2011-09-26). "Arch West, 97, invented Doritos for Frito-Lay". Washington Post. Retrieved 2011-10-13. ^ "The Burns Supper". Worldburnsclub.com. Archived from the original on 2000-08-19. Retrieved 2012-08-25. ^ Edward J. Cowan, "Tartan Day in America", in Celeste Ray (ed. ), The Transatlantic Scots (Tuscaloosa, AL: University of Alabama Press, 2005), p. 318. ^ "Seattle Scottish Highland Games Association". Sshga.org. ^ Newton, ‘We’re Indians Sure Enough’, pp. 69-83. ^ Newton, ‘We’re Indians Sure Enough’, pp. 163-175. ^ Scottic Gaelic. Modern Language Association, citing Census 2000. Retrieved 2008-02-22. ^ "Black America's musical links to Scotland". Johnston Publishing Ltd. Retrieved 2018-02-15. ^ a b c d e f g h i "Ulster-Scots and the United States Presidents" (PDF). Ulter Scots Agency. Retrieved 12 July 2010. ^ "Ulster-Scots and the United States Presidents" (PDF). Ulter Scots Agency. Retrieved 12 July 2010. ^ Northern Ireland Tourist Board. discovernorthernireland - explore more: Arthur Cottage Accessed 03/03/2010. "Arthur Cottage, situated in the heart of County Antrim, only a short walk from the village of Cullybackey is the ancestral home of Chester Alan Arthur, the 21st President of the USA." ^ "Donald Trump beats Clinton to White House". Stornoway Gazette. 2016-11-09. Retrieved 2016-11-09. ^ "City of Dunedin Florida". 24 February 2011. Archived from the original on 24 February 2011. Berthoff, Rowland Tappan. British Immigrants in Industrial America, 1790-1950. New Haven, CT: Harvard University Press, 1953. Dziennik, Matthew P. The Fatal Land: War, Empire, and the Highland Soldier in British America. New Haven, CT: Yale University Press, 2015. McDonald, Forrest, and Grady McWhiney. "[Celtic Mist over the South]: A Response." Journal of Southern History (1986): 547-548. Bueltmann, Tanja, Andrew Hinson, and Graeme Morton. The Scottish Diaspora. Edinburgh, Scotland: Edinburgh University Press, 2013. Calder, Jenni. Lost in the Backwoods: Scots and the North American Wilderness Edinburgh, Scotland: Edinburgh University Press, 2013. Calder, Jenni. Scots in the USA. Luath Press Ltd, 2014. Dobson, David. Scottish emigration to colonial America, 1607-1785. Athens, GA: University of Georgia Press, 2011. Landsman, Ned C. Scotland and Its First American Colony, 1683-1765. Princeton, NJ: Princeton University Press, 2014. McCarthy, James, and Euan Hague. "Race, nation, and nature: The cultural politics of "Celtic" identification in the American West." Annals of the Association of American Geographers 94#2 (2004): 387-408. Newton, Michael. “We’re Indians Sure Enough”: The Legacy of the Scottish Highlanders in the United States. Richmond: Saorsa Media, 2001. Parker, Anthony W. Scottish Highlanders in Colonial Georgia: The Recruitment, Emigration, and Settlement at Darien, 1735-1748. Athens, GA: University of Georgia Press, 2002. Ray, R. Celeste. Highland Heritage: Scottish Americans in the American South. Chapel Hill, NC: University of North Carolina Press, 2001. Szasz, Ferenc Morton. Scots in the North American West, 1790-1917. Norman, OK: University of Oklahoma Press, 2000. Thernstrom, Stephan, ed. Harvard Encyclopedia of American Ethnic Groups. New Haven, CT: Harvard University Press, 1980. Zumkhawala-Cook, Richard. "The Mark of Scottish America: Heritage Identity and the Tartan Monster." Diaspora: A Journal of Transnational Studies 14#1 (2005) pp: 109-136.